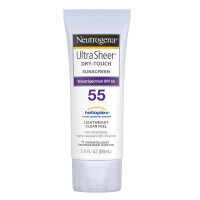 Directions Apply liberally on face and body 15-30 minutes before sun exposure. 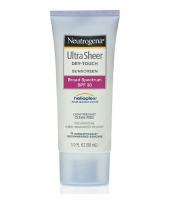 For added protection, reapply after swimming, excessive perspiration, towel drying or extended sun exposure. 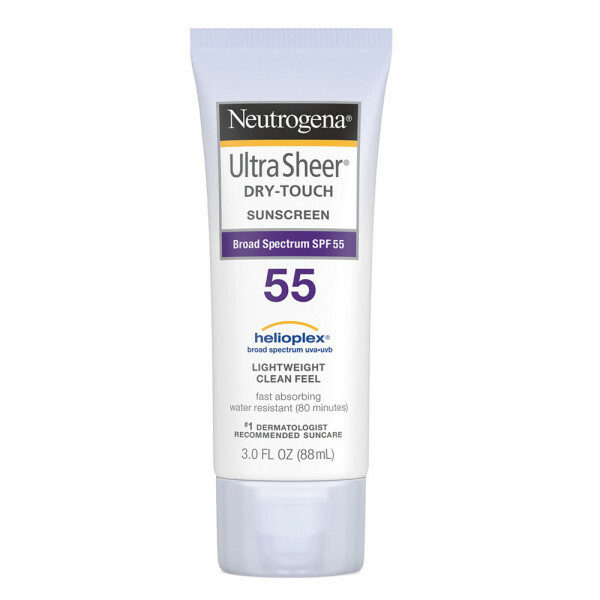 Uses Neutrogena Ultra Sheer Sunblock SPF 55 is a breakthrough in sun protection. 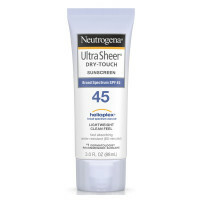 Stabilized with Helioplex, it provides superior balanced broad-spectrum protection against skin-aging UVA and burning UVB rays and combines it with Dry Touch technology for an ultra-light, non-shiny finish. 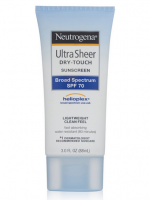 This lightweight sunblock has a light, fresh scent and is gentle enough for even sensitive skin. Waterproof, sweatproof, resists rub-off. 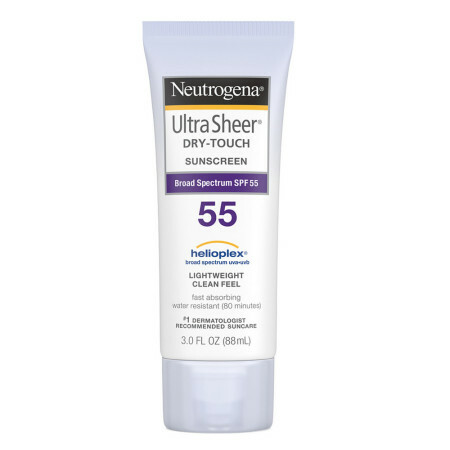 Non-comedogenic (won't clog pores). Oil free, PABA free. Warnings For external use only. Not to be swallowed. Avoid contact with eyes. Discontinue use if signs of irritation or rash appear. Use on children under 6 months of age only with advice of a physician. Keep this and all drugs out of reach of children. In case of accidental ingestion, seek professional assistance or contact a Poison Control Center immediately.